Few days ago, I noticed that SCCM (version 1606) packages failed to distribute to Distribution Point. This is valid for new or existing packages. SCCM was unusable. So, it is a big mess. Distribution Manager failed to access the source directory “\\share\folder\sourcefile” for content “ContentName” (Content ID=0000000). Possible cause: Distribution Manager does not have sufficient rights to the source directory. Solution: Verify that the site server computer account has at least Read access to the directory you specify as the source directory. Possible Cause: There is not enough disk space available on the site server. Solution: Verify that there is enough free disk space available on the site server. I checked permissions. Site Manager Computer Account (Contoso\SCCM) is member of local Administrator group. 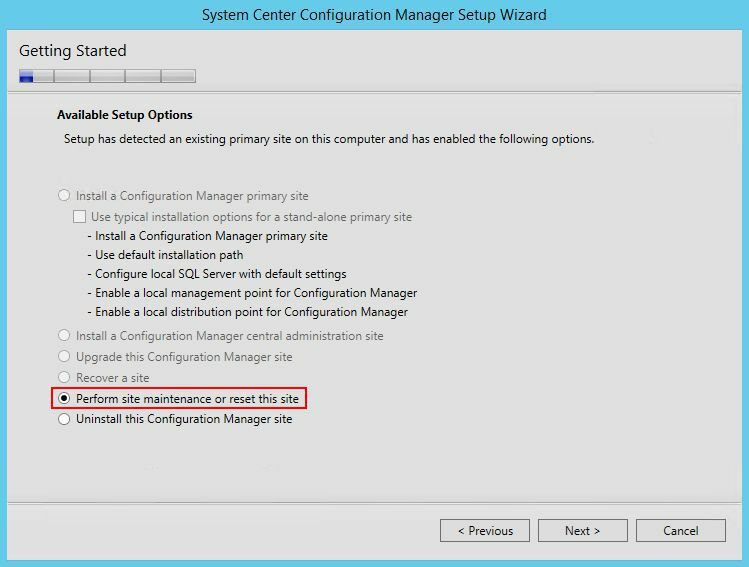 Source folders permissions are OK.
SCCM Site server has plenty of free space. So, everything seems OK, but errors are still present. 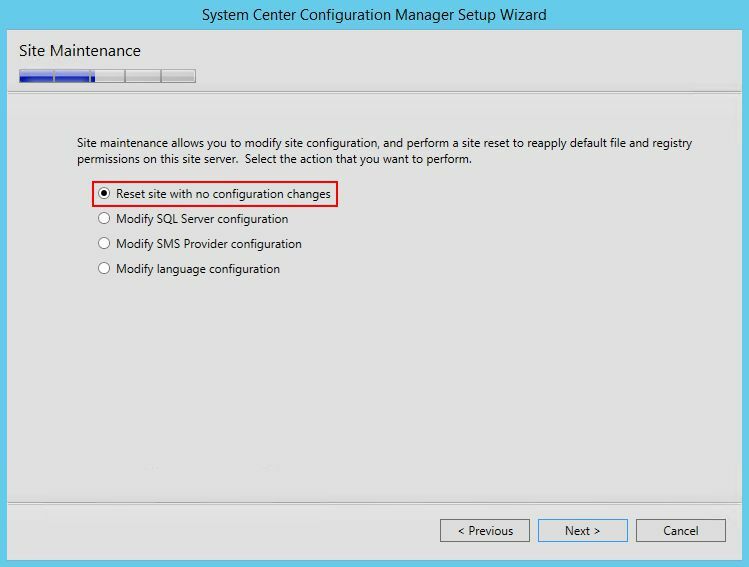 I think that the best thing in such case is to Reset SCCM Site Server with no configuration changes. During the Site Reset with no configuration changes, all site components are reinstalled, and permissions and registry keys are restored to their default settings.